PayPal, the world’s most popular online payment system, allows businesses and individuals to transfer funds electronically. Having passed a pretty troubled journey, including fraud, lawsuits and many government regulations, the company has never stepped back from its path to success. It wasn’t even a year after its inception when PayPal entered the charts of NASDAQ with $13 per share. Then, in 2002, the company famously merged with eBay for the fine price of $1.5 billion, coming to be eBay users’ only payment option. The rest is history! So, you want to learn HTML and start creating those nice looking HTML emails? Well, it’s going to be quite a journey! Remembering so many little details can be particularly challenging especially for novice developers. That’s why we have created ultimate HTML cheat sheet which can be handy for everyone. 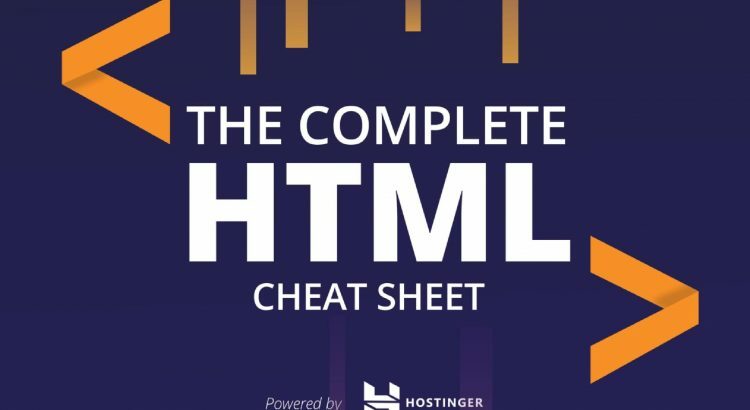 You’d be surprised to know how many programmers (even advanced ones) prefer to keep such kind of cheat sheets to HTML or CSS handy whether it’s in the form of PDF files or images. You don’t need us to tell you how important email marketing is, right? With 4 billion accounts around the world, the humble email is still the most powerful direct marketing medium despite the advent of social media with 90% of internet users frequently checking their emails. Marketers are only just starting to realize the full potential of emails and this cheat sheet puts together all the key elements in one place to save you going on a wild goose chase. If you are sending an email campaign for the first time, you can download this Email Marketing eBook for Beginners by DesignWebKit to clear your idea about it. Personalization – Why should you make your emails personal. Segment your lists and tailor emails to the interests of your customers. Automated emails – How you can set them up and make them work for you. Avoid the spam folder too. Recovery – Using email marketing to win your customers back and reduce your abandoned cart rates. Mobile friendly – More and more people are looking at emails on mobile devices. So it’s more important than ever to format your emails correctly. Testing – Explaining the importance of testing your emails and how to set them up. As you will see setting up a winning email marketing strategy doesn’t have to be over-complicated or expensive. Taking guidance from the infographic below, you can make emails generate revenue for your business with an ROI of $44 for every $1 spent – no other communication tool can generate a return like this.